This year’s SAPPHIRE NOW* conference reminds me of one of the keys to success for modern businesses: in this age of digital transformation, you need the right tools and technologies to gather and apply information at a rapid pace, well ahead of your competitors. 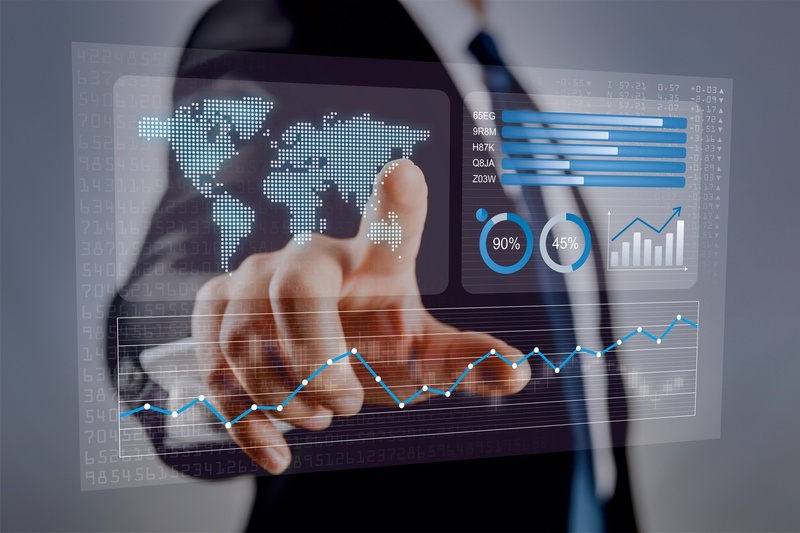 For most businesses today, that means real-time insights and analytics to provide the differentiated services that customers and workers need. The SAP HANA* platform enables that capability, but it can only operate as fast as the hardware on which it runs. To achieve the best performance, the underlying infrastructure is just as important as the database software and applications. That’s where Intel comes in. Intel and SAP have been co-innovating and co-engineering technology for more than 30 years. 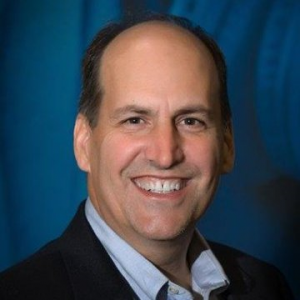 And for more than a decade, the two industry leaders have been working together to provide a highly optimized SAP HANA platform that is tuned for industry-leading Intel® Xeon® processors and architecture. The combination of Intel Xeon processors with the SAP HANA platform provides businesses with a blazing-fast, in-memory database solution for transactional and analytical applications. In addition, because Intel provides 4- and 8-socket implementations, the solution can easily scale with the needs of your organization. Each new generation of the Intel Xeon processor family brings faster, better-optimized performance for SAP HANA solutions, and the upcoming platform will deliver an even greater leap forward. The new Intel Xeon Processor Scalable family—featured in Diane Bryant’s keynote walk-on with SAP Executive Vice President Bernd Leukert at the SAPPHIRE NOW conference this week—demonstrates a significant jump in performance for SAP HANA database workloads in testing, with performance gains of up to 1.59 times compared to the previous-generation Intel Xeon processor family. Additionally, the SAP HANA platform now is certified to support up to six times more memory with the Intel Xeon Processor Scalable family than with the typical four-year-old systems that are in broad use in data centers today. The new Intel Xeon Processor Scalable family represents a platform architected for modern data center requirements, offering greater levels of integration with workload-optimized accelerators and support for compute, network and storage workloads. The platform also includes hardware-enhanced security and advanced telemetry capabilities to simplify management and support. This is an exciting year for data center IT admins. 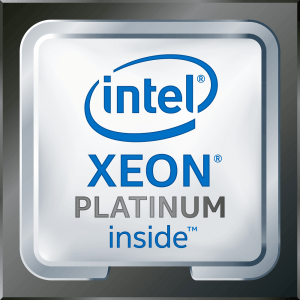 The new Intel Xeon Platinum processors offer outstanding performance for important business applications, such as the SAP HANA platform, along with a wealth of new capabilities for modern workloads, such as artificial intelligence (AI), advanced analytics, and machine learning. With so many innovations just around the corner, this is the right time to modernize your infrastructure to capture new opportunities that will keep you well ahead of the competition. We’re excited to share more information with you when the new Intel Xeon Processor Scalable family launches this summer. In the meantime, check out Diane Bryant’s walk-on in Bernd Leukert’s keynote at SAPPHIRE NOW, and learn more about Intel and SAP co-innovations by visiting intel.com/sap. 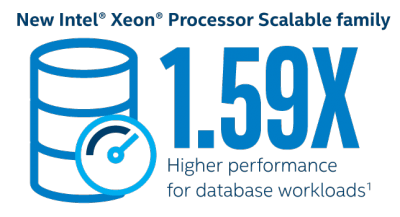 Up to 1.59x higher online transaction processing (OLTP) performance vs. Intel Xeon processor E7 v4 family performance estimate based on SAP HANA* internal S-OLTP workload (internal testing). Baseline config: one-node, 4S Intel Xeon processor E7-8890 v4 with 1,024 GB total memory on SUSE Linux Enterprise Server* (SLES*) 12 SP1 vs. estimates based on SAP internal testing on one-node, 4S Intel Xeon Processor Scalable family system. The SAP HANA* database platform is certified to support up to 6x memory for online analytical processing (OLAP) configurations on the Intel® Xeon® Processor Scalable family when compared to systems available in the market four years ago, which represent the typical data center installed base (for example, 4-socket Intel Xeon processor E7–based systems).